SmartGauge with EcoGuide offers a multitude of customizable LCD screen that help you understand how changing your driving habits can have a direct effect on maximizing vehicle efficiency. Content such as the Energy History, Energy Coach and Efficiency Leaves work together to help you monitor and improve your driving performance over time. Both C-MAX Hybrid and C-MAX Energi plug-in hybrid include a 2.0L I-4 Atkinson-cycle engine with an electric motor to generate up to best-in-class* 188 combined horsepower. 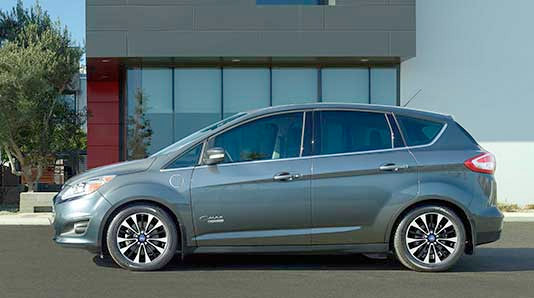 C-MAX Hybrid and C-MAX Energi plug-in hybrid feature dual-zone electronic automatic temperature controls in the front row. 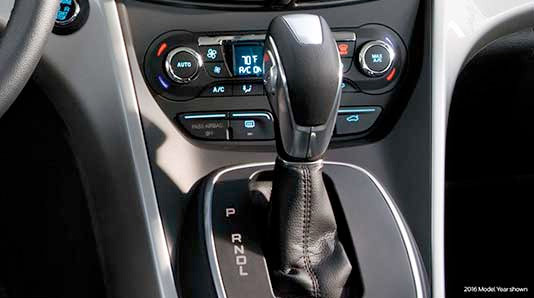 That lets you and your front-seat passenger set the temperatures to your individual likings. We have not forgotten the rear-seat passengers ‐ they have the ability to adjust the climate to their liking as well. 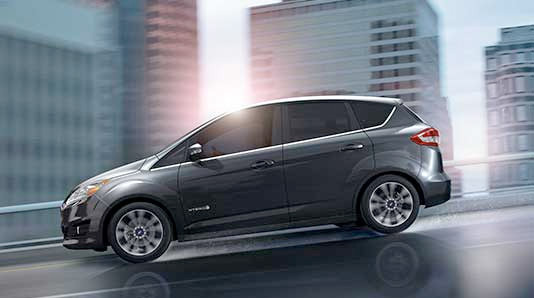 C-MAX Hybrid and C-MAX Energi plug-in hybrid provide versatile storage capabilities. Hidden compartments behind the first-row seats store smaller items and keep valuables out of view. 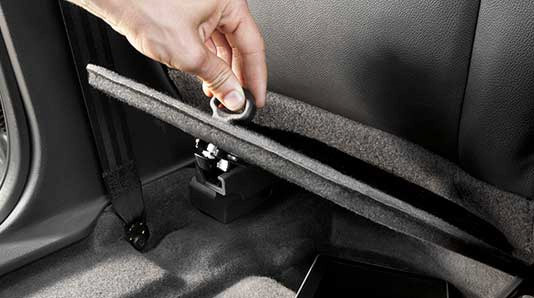 Lift up the floor mats and you'll find room for small personal items like a laptop or tablet. 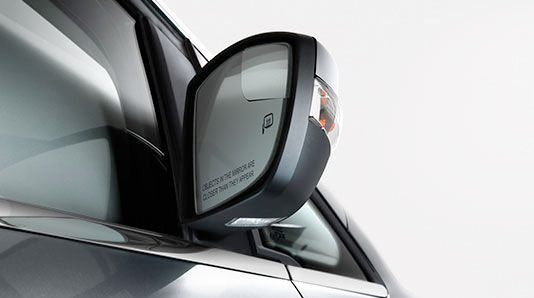 The standard integrated blind spot mirrors can help you see vehicles in your blind spots. These convex mirrors are included in the traditional exterior sideview mirror design. Active Grille Shutters can help improve efficiency by altering the shutters behind the grille. Located between the grille opening and the radiator, the shutters are electronically controlled by the engine control module. They open or close to help maintain the ideal engine operating temperature. When less engine cooling is needed, the shutters close to help improve aerodynamics. Standard on C-MAX Hybrid and C-MAX Energi plug-in hybrid. Regenerative braking recovers energy that is usually lost through your friction brakes and engine drag during braking or coasting and stores that energy in your battery for later use. The Brake Coach appears after the vehicle has come to a stop. It coaches you to brake in a manner which maximizes the amount of energy returned through the Regenerative Braking System. The percent displayed is an indication of the regenerative braking efficiency with 100 percent representing the maximum amount of energy recovery. 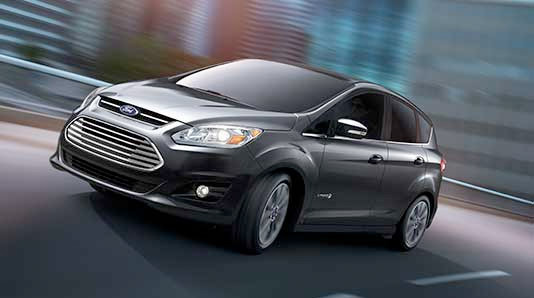 C-MAX Hybrid and C-MAX Energi plug-in hybrid both come with a driver knee airbag to help protect you. 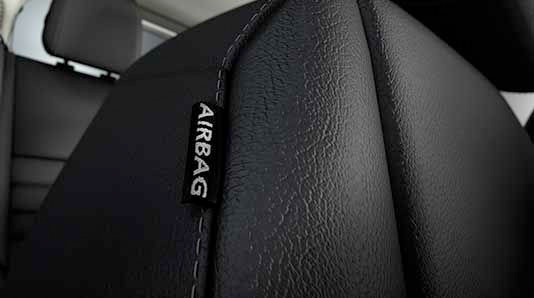 Located under the steering wheel, the knee airbag works along with the driver's front airbag. Also standard are front-seat side airbags and side-curtain airbags for a total of seven*. 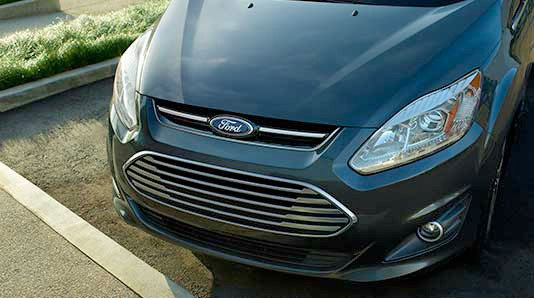 C-MAX Hybrid and C-MAX Energi also include a smart Front-Passenger Sensing System that uses sensors to detect if a front passenger is present. The SOS Post-Crash Alert System* can activate the horn and emergency flashers in the event of airbag deployment. After the system is activated, you may deactivate it by using your key fob. This feature is standard on the 2017 C-MAX Hybrid and C-MAX Energi.